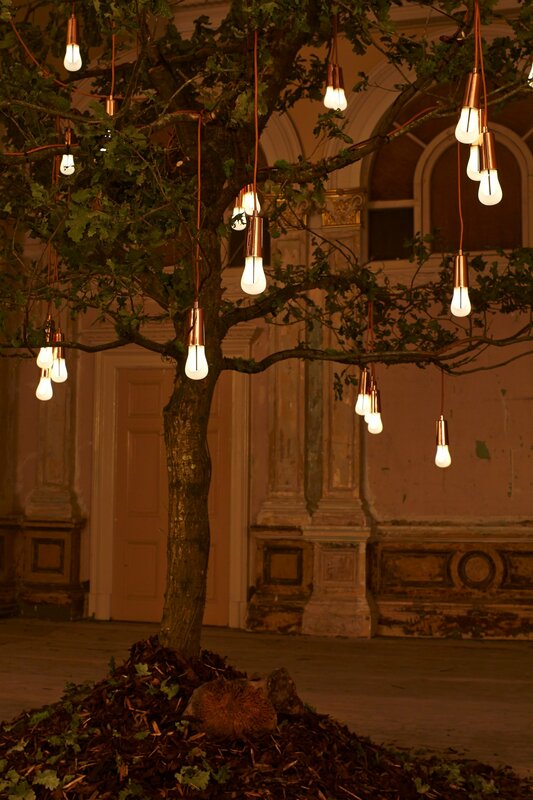 The Glowing Oak installation launched the Plumen 002 bulb design at Designersblock during the London Design Festival. 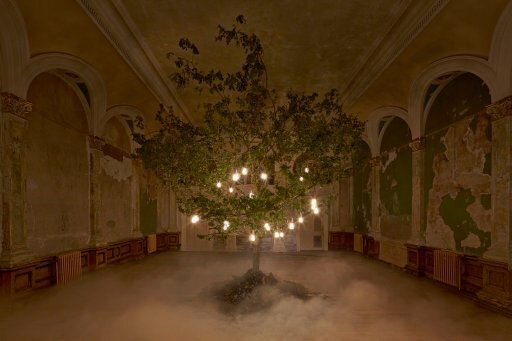 The surreal scene saw a large oak tree adorned with Plumen 002 bulbs occupying a faded grand regency ballroom on the fourth floor of London’s first ever courthouse. Visitors enjoyed the poetic and peaceful scene, illuminated by the warm textured ambience created by the Plumen 002s and the leafy shades and shadows.